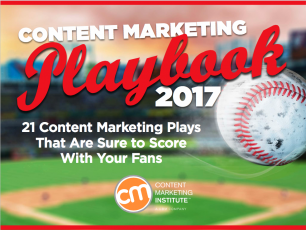 You might be surprised to learn that, for me, the arrival of spring marks the return of two of my favorite traditions: watching the start of the Major League Baseball season and creating CMI’s annual Content Marketing Playbook. And, as it turns out, the two have quite a few things in common. For example, like our national pastime here in the United States, content marketing can seem deceptively easy from an outsider’s perspective; yet, it actually requires a complex combination of strategy, skill, and savvy use of the right assets at the right time. Smart content marketers know there are incremental gains they can make with every play, calculated risks to take on the way, and, with a little luck and a lot of hard work, a tremendous potential to gain loyal fans by giving their audience an experience to remember. Of course, it’s not always clear how to get the best performance out of your star players – whether it’s Clayton Kershaw on the mound or an email newsletter leading off a consistent inbound strategy. And that’s why we’ve taken the latest findings from our annual Benchmarks, Budgets, and Trends research and compiled them into a new e-book: Create Pitch-Perfect Content Marketing: The 2017 Playbook. Our goal is to help all content marketers better understand the value proposition of the MVTs (Most Valuable Tactics) and use them more successfully. We’ve shaken up our usual lineup a bit this year – for example, we brought in a talented rookie player (livestreaming video) and retired a tactic with strong potential but flagging stats (gamification). Here are the top tactics on our roster for 2017. The fight against chronic inflammatory bowel disease has never had as colorful a champion as Samarium. Mild-mannered scientist and IBD sufferer Ian has no problem fighting off the bad guys who invade his lab looking to destroy important forensic evidence. But when it comes to coming clean about his IBD to fellow scientist and love interest Emily, he needs a little backup. 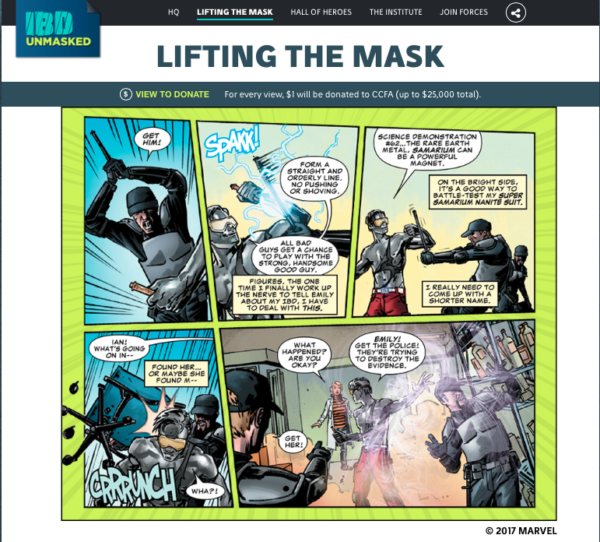 Luckily, his story is now helping others who suffer from this chronic disorder to find their own inner super-strength, thanks to this custom-created comic developed by Takeda Pharmaceuticals and Marvel Custom Solutions. 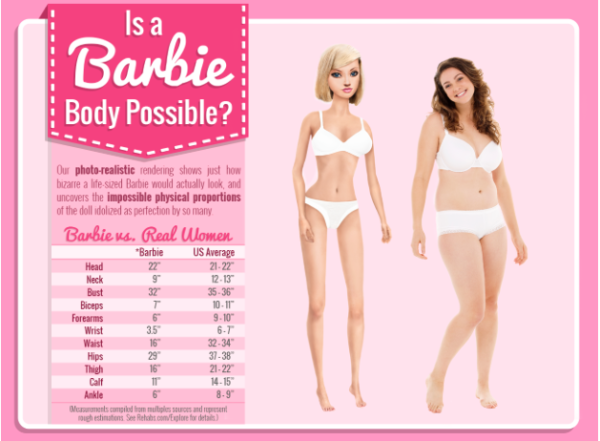 Infographics: Is a Barbie Body Possible? The infographic, Is a Barbie Body Possible?, is a piece of visual content that shows how Barbie’s vital stats measure up to those of the average American woman. Created to accompany a lengthy post on Rehabs.com that explores the media’s role in the prevalence of eating disorders in young girls, it’s packed with sobering statistics. It’s also been linked from more than 200 sites and shared more than 55,000 times. 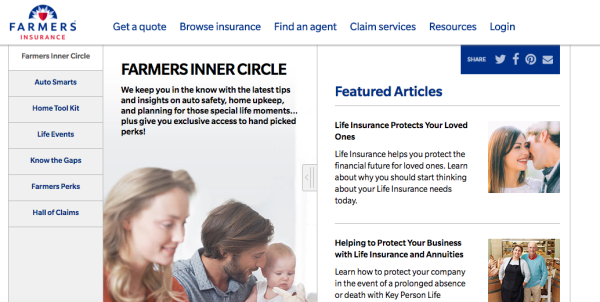 Farmers Insurance Inner Circle is a super customer friendly resource that helps its audience to become better educated about insurance by providing useful, practical information. It offers a huge variety of articles about things like taking care of your house and your car, how to prevent identity theft, what you need to know if you’re going through a divorce – basically how to deal with anything life throws at you. After a lifestyle change that included a healthy, juice-based diet, junk-food junkie Hayden Slater shed 60 pounds, then poured his newfound passion for healthy living into a new business: Pressed Juicery. For the first three years, the company’s main marketing platform was a media property called The Chalkboard – a lifestyle-focused digital magazine that shared expert insights, healthy recipes, nutrition, beauty, and wellness tips, and plenty of inspiration for toxin-free living. With a content mission of serving as a modern guide to living well, The Chalkboard helped Pressed Juicery create 1.3 billion media impressions — and did so at a cost of less than $20,000.